Doris is the soul of this band! Carol Goodden and Gordon Matta-Clark in front of Food, 1971. 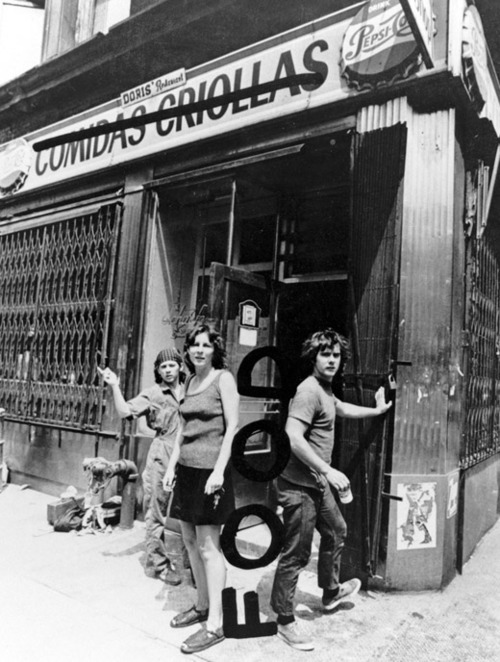 And apparently, the name of the restaurant Carol Goodden along with my art history crush Gordon Matta-Clark would turn into Food. Thanks for posting this image, Misael! I always knew Matta-Clark was part of my karass. Now I have proof!